Norse Projects Rokkvi NeoShell 2.0 Jacket Black | END. 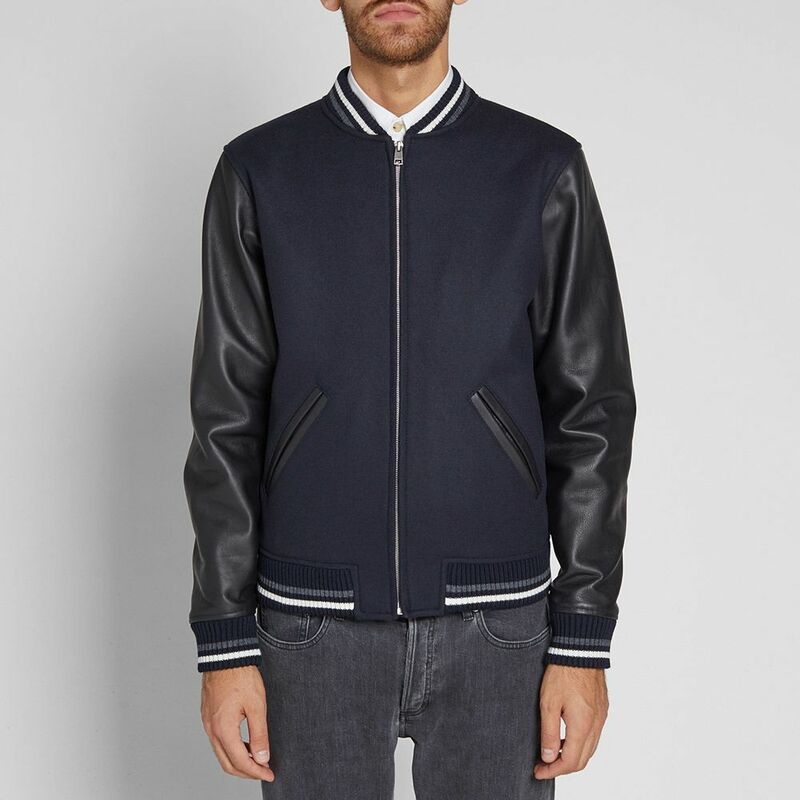 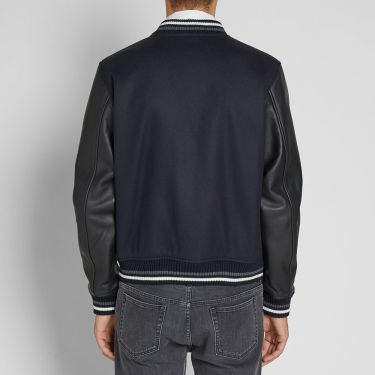 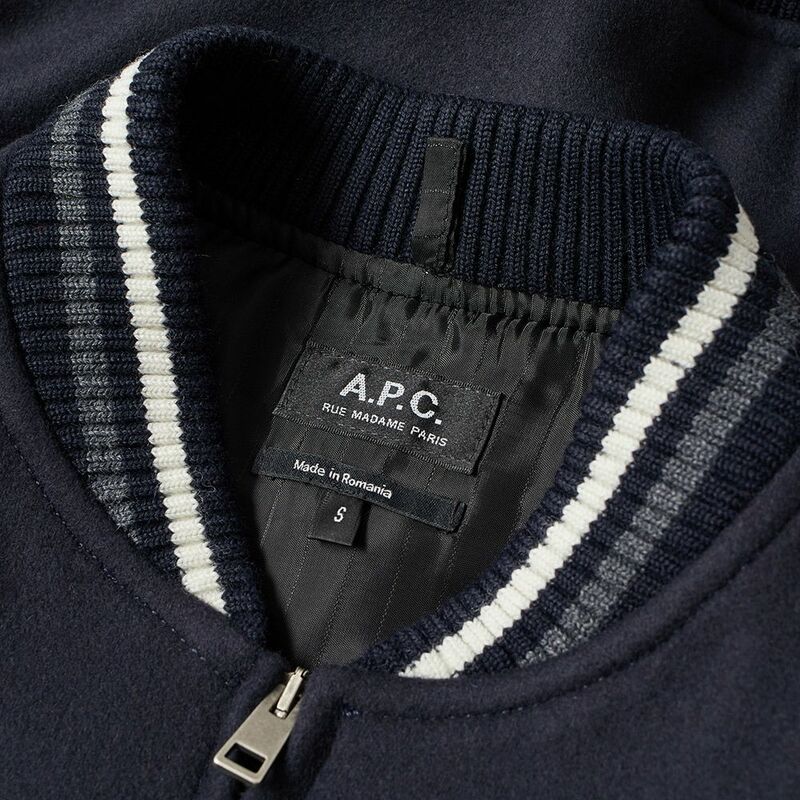 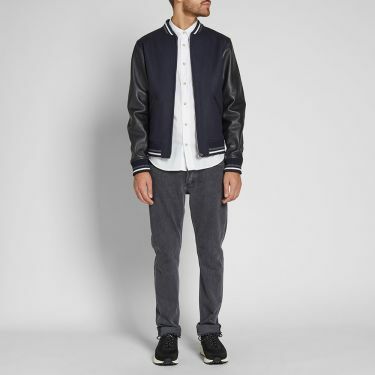 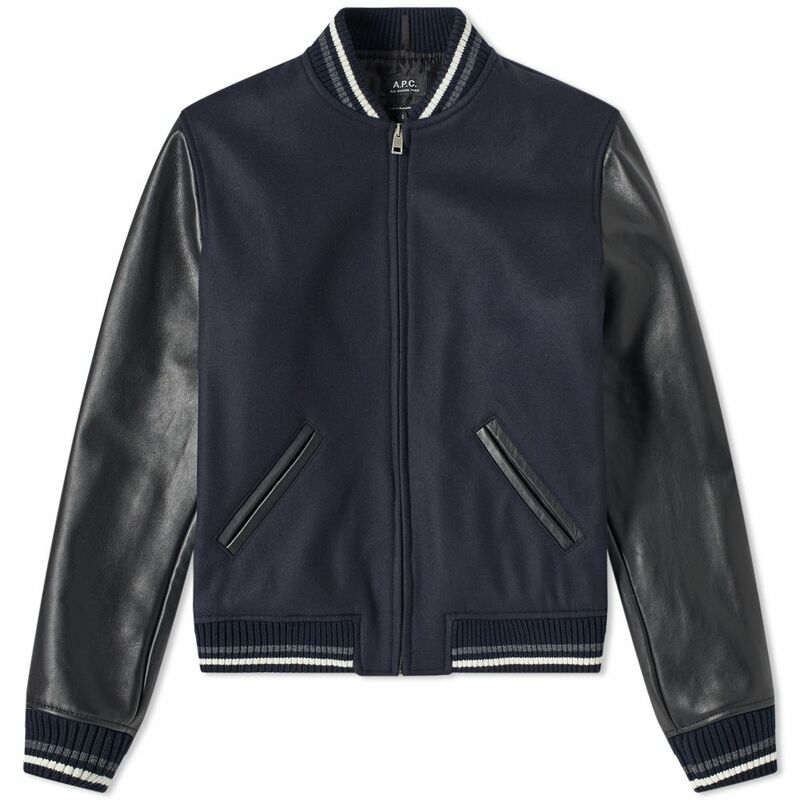 Trimmed with calfskin leather detailing, A.P.C. name this wool blend varsity jacket ‘Cooper’ this season. 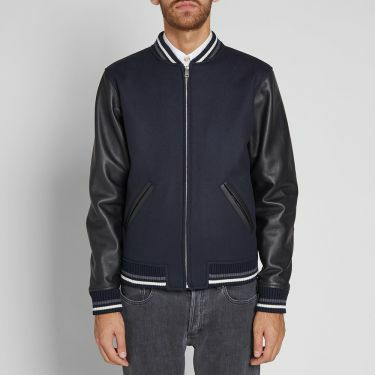 Dressed in a deep shade of navy blue, this zipped style is imbued with an air of Parisian cool and is kitted out with a pair of angled pockets. 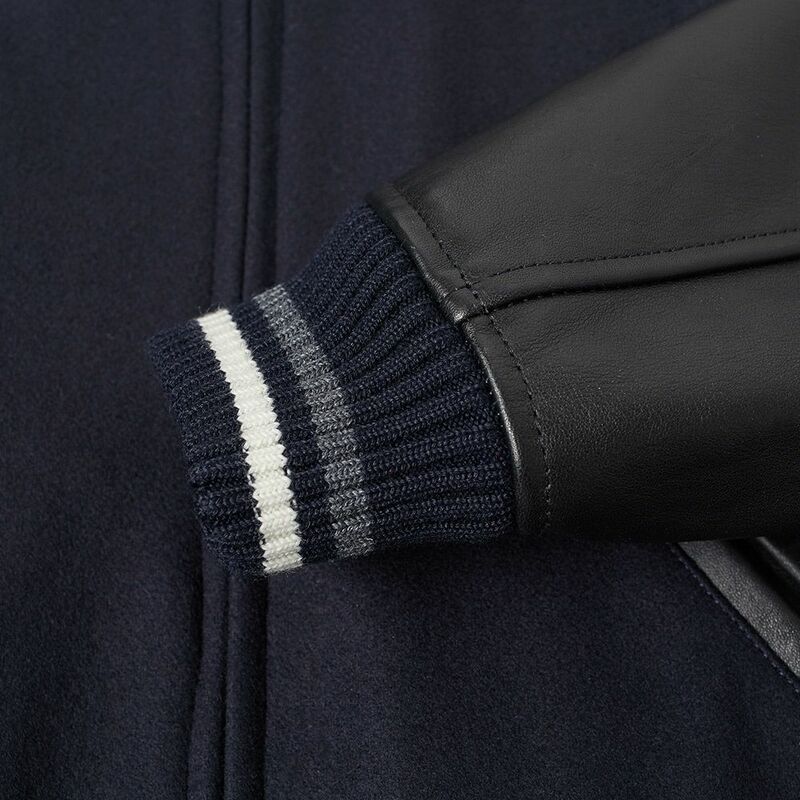 Rounding out the sleek look, its collar, cuffs and hem are signed off sportingly with striped ribbed knits.